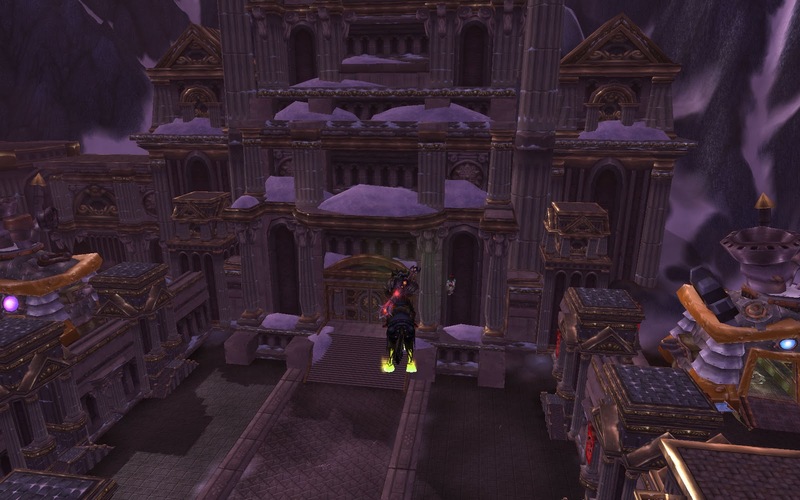 So we’re playing cat and mouse inside the Wintergrasp keep after we lost. Three or four Horde, all their guards and NPCs, versus 2 and a half of us (I was only semi-paying attention/only when Darvie was yelling at me in Ventrilo). Wusah was ganking the shiznit out of a Shadow Priest, over and over, when suddenly more Kiithsa Hunter started showing up. Which was kindof odd considering the Horde defenders, inside their keep with all the guards and NPCs were winning already. I guess Wusah was bored and didn’t want to PvP anymore. So I just hover there and watch a little, and they collectively decide (or previously did) that I am in fact a moron and don’t pay attention. So I wait as they inch their way into position above me, watch as they all settle into place, and just as the first one dismounts – I’M OUT! And without a single DoT! So predictable! Next story Vlad’s final pre-Cataclysm world PvP event is tonight!